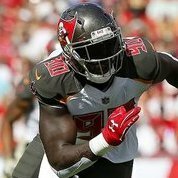 ** Bucs trade a 3rd round pick and exchange 4th round picks with the New York Giants for Defensive End Jason Pierre-Paul. 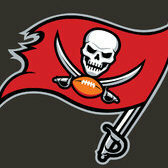 ** Bucs trade William Gholston to the Oakland Raiders for a 2018 6th round pick. Fantastic and great job. We’ll win a playoff game or two if our off season comes to completion with a draft like this. Nice job. Love the detail in this. I know it's a lot of effort. - The 1st 4 rounds are great. Fill needs and have legit talent at each pick. -Would have liked to see CB addressed before the 6th round. James, Hurst, and Penny... massive haul. Sign me up. This. Defensive talent overhaul is great and we land a new RB. Sweezy survives based on the way the draft plays out.